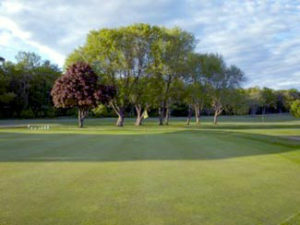 Harbor Point Golf Course is one of the oldest courses in Northern Michigan. Local history indicates a rough golf course was in play at the location of the Harbor Point Golf Course in 1896. In 1899, Alexander F. Stevenson of Chicago who, along with others from the Midwest, formed a stock company to develop the course and purchase the land. It was (and remains) an 18 hole course and was designed by David Foulis, who was from a famous St. Andrews family of golfers. In 1941 the course was taken over by the Harbor Point Association, which continues to manage the course today.